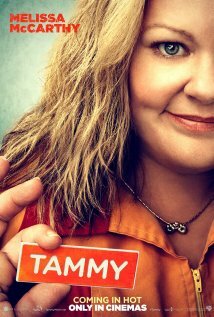 OVERALL: Another fun movie from Melissa McCarthy. Many good chuckles and smiles throughout. Yes I even did laugh out loud too. Oh and the audience applauded at the end. POINTS: Characters, scenery, and humor throughout this movie make you smile and laugh. I liked every part. Melissa McCarthy and husband Ben Falcone made a perfect script and executed movie. They need to make more. That’s a hint folks. CULTURAL PITFALL(S): More PoC would have been nice. 1.) Melissa McCarthy doing her thing. What more do you want? The woman can just look at the screen and I start to laugh. She gets wild in her eyes and I start to laugh. Her comic delivery is perfect. I love this woman!!!! Thank you Melissa for inspiring me. 2.) Susan Sarandon. I didn’t know she could be so good at comedy. She is a great grandmother to Tammy. Great as in a wonderful learning foil. 3.) Kathy Bates and Sandra Oh. These two powerhouse actresses played a couple in the movie. Bates gives a brilliant speech, showing us exactly why she won that Oscar and Oh is a gorgeous presence of sensuality and smarts. I loved watching these two women be in love and light up the screen. They had true couple chemistry so yes, I would like to see a movie about this couple. 4.) Dan Aykroyd. He didn’t do much but he did it well. An excellent father indeed! 5.) Everybody Else. No false acting steps in this movie. Everyone was perfect. BECHDEL TEST (Website): 3 of 3. This movie was one great big Bechdel Test winner. We went to see this over the weekend and were very pleased. But we both thought it was very uneven.